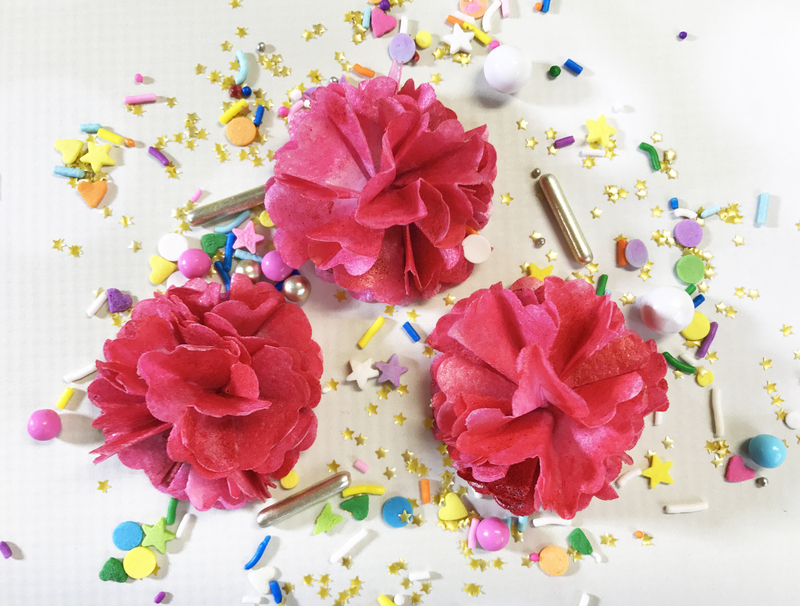 I like to play with all kinds of sugar materials. 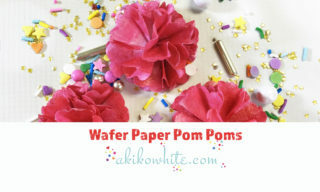 This is a quick tutorial on how to make pom pom flowers out of wafer paper. Wafer paper can be so fun! You can pretty much create the same things as you can with regular paper, with some exceptions. Wafer paper can't do a lot of folds like real paper can, so you have to improvise sometime.